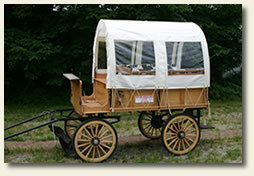 Re-live the old west in our covered wagon. This relic of the past can carry 8 average sized adults or 12 children under the age of 12. This is a special events wagon that we bring to your location.